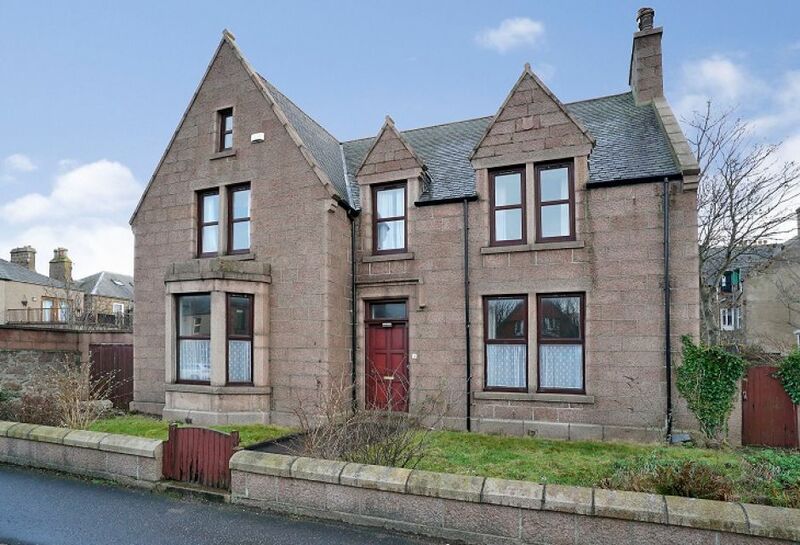 Traditional stone built five-bedroom detached house situated in a quiet residential street in the historic town of Peterhead. The property has excellent potential for future use as a B & B or guesthouse, subject to consents. Retaining many of its original features such as period cornice work and a sweeping staircase, with some modernisation work, the property would make a comfortable and stylish family home. The property is situated on a peaceful street with parking readily available. Peterhead town centre is within 5-10 minutes’ walk and provides a good selection of local shops, pubs, restaurants and major supermarkets. Peterhead is a coastal fishing town on the A90 approximately 30 miles north of Aberdeen. The town has a range of amenities including a variety of shops, supermarkets, restaurants, hotels, sporting facilities and a community centre. The town has good bus links to the city and surrounding areas.